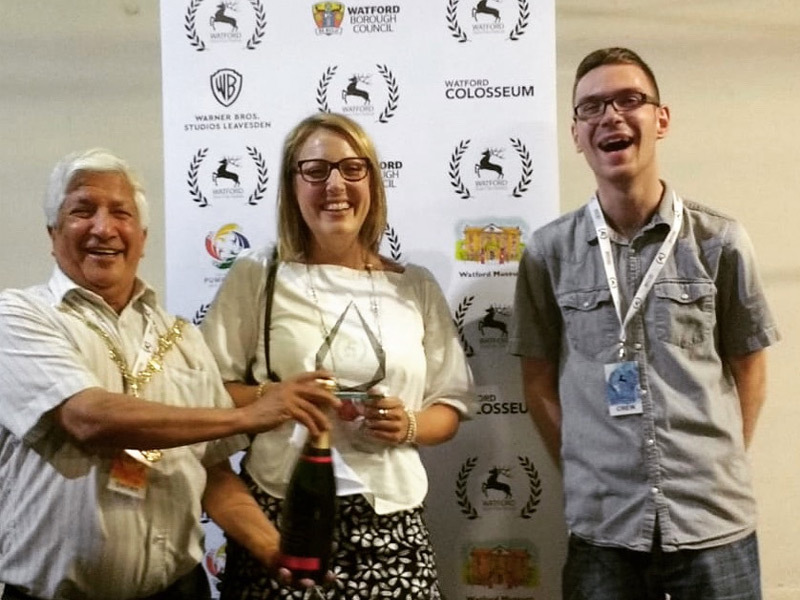 We are delighted to be the winners of the Watford Award at #WatfordShortFF. Thank you to Hilary for taking part in the film, to the organisers and of course to the audience for your vote. Well done to all the winners and filmmakers for sharing your good work and, thank you to the partners for your support. See a short clip of our Unite for Parkinson’s video here. Photo: (from left to right) Councillor Rabi Martins, Victoria Hart and film festival organiser, James Dyer.